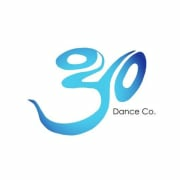 Oyo Dance Company is a non-profit professional dance company that embodies diversity, acceptance, and cultural awareness. Oyo promotes appreciation of the art of dance through public performances and outreach, educational programs, and community activities. The Company maintains a diverse repertory through work with guest choreographers, master classes, and technical workshops. Oyo Dance Company was founded in 2015, and is committed to the belief that dance is an art form that is by and for anyone. The Company promotes this belief through a season of five public performances that include community outreach; and by providing a positive, holistic environment in which talented, motivated, and select dancers can thrive as artists. The goal of the company is to break the mold of traditional dance companies, offering diversity in training, performance style, and among the dancers themselves, both in terms of their physical appearance and personal strengths. Oyo has a particular focus on access to the arts, and sponsors a children's performance each year for students at at-risk schools. They also perform at community centers, festivals, and other public events. Oyo is committed to using the arts to affect positive social change, and co-sponsors a showcase each spring to raise funds for organizations that fight human trafficking. Inspiration to Movement accepts donations. Donate Now. Would you recommend Inspiration to Movement?